يضمن فندق Sandcastles on Currumbin Beach Apartments الذي رمم في لزائريه قضاء وقت ممتع في جولد كوست، سواء جاؤوا في رحلة عمل أو سياحة. يقع الفندق على بعد من مركز المدينة، ويؤمن الوصول إلى أهم مراكز المدينة. إن سهولة الوصول من الفندق إلى المعالم السياحية الشهيرة الكثيرة في المدينة كمثل Surf World Gold Coast, The Currumbin Clinic, كورومبن هو استثنائي بحد ذاته. إن Sandcastles on Currumbin Beach Apartments حريص على توفير الراحة للنزلاء، فلا يوفر الموظفون جهداً في تقديم أفضل الخدمات وضمان حسن الاستقبال. إن واي فاي مجاني في جميع الغرف, تسجيل وصول/خروج سريع, تخزين الأمتعة, واي فاي في المناطق العامة, صف السيارات هي جزء فقط من الخدمات التي تميز Sandcastles on Currumbin Beach Apartments عن باقي الفنادق في المدينة. استمتع بوسائل الراحة الراقية في الغرف أثناء إقامتك هنا. بعض الغرف تتضمن اتصال لاسلكي بالإنترنت, غرف لغير المدخنين, شرفة/ تراس, ساعة منبه, تليفون لمساعدتك على استعادة طاقتك بعد يوم طويل. يقدم الفندق خدمات رائعة كمثل حوض استحمام ساخن, شاطئ خاص, مسار جولف - ضمن 3 كم, حمام سباحة خارجي, سبا لمساعدتك على الاسترخاء بعد نهار طويل من النشاط والتجوال في المدينة. 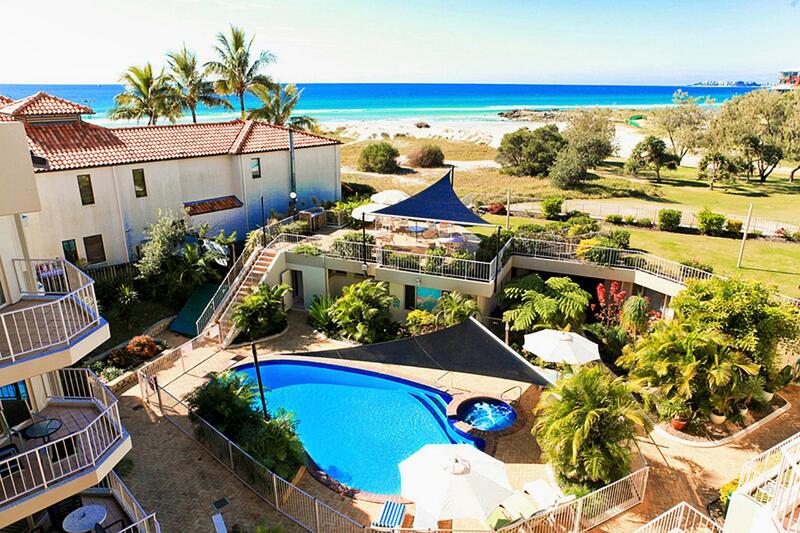 مهما كانت أسبابك لزيارة جولد كوست، فإن Sandcastles on Currumbin Beach Apartments هو الخيار الأفضل لإقامة مثيرة وممتعة. يخضع العقار للتجديد من 1 مايو 2019 إلى 15 يوليو 2019. Although I loved the locality of being right on the beach, and across the road from the Wildlife Sanctuary ( they have street food markets every Friday night, which was a highlight for us) the apartment we stayed in looked a little tired. It had obviously been built in the 80s and barely anything had been touched since, including original tap fittings and cabinet handles. We had a persistent leak in the ensuite toilet that kept us awake, and even when we turned to toilet tap off, it still leaked! The tap washers needed changing, as you had to turn them hard off; and the washing machine hot tap leaked, so had to do a cold wash. The Washing machine lid was broken, and I ruined a sleeping bag in it when I washed it (possibly my fault). Having said that, the exterior has had a facelift, with modern colours in cream with dark grey trim and the pool and spa were lovely. Shops a few minutes walk (up a big hill) away and the manager, Craig, was always pleasant and helpful. I'd stay again. Fantastic location, clean and tidy unit and lovely pool area. I can’t fault the apartments and will definitely stay there again. We love about location near the beach and have swimming pool with spa. Room was bigger and more spacious than expected! Really enjoyed our stay, Quiet location, excellent size apartment, plenty of space and great to have 2 bedrooms 2 bathrooms. Very well equipped and enjoyed our stay. Great location close to beach. 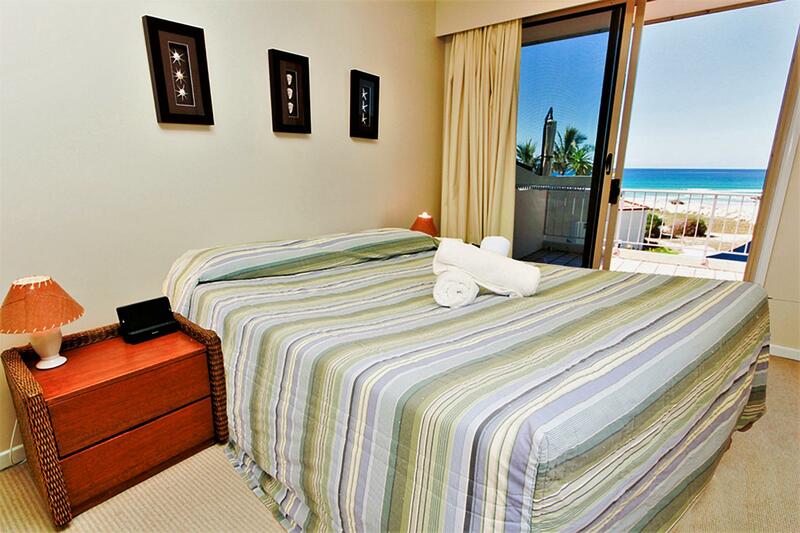 Walk to 2 surf clubs and restaurants. Friendly helpful staff. I don't normally leave reviews as I travel so often, but I have to say I was very disappointed with this property. Don't get me wrong, the location is great, it has a nice pool, is close to the beach and everything around is lovely, but this particular apt (#6) is in a poor standard of presentation. The very first thing I noticed was the state of the carpet in the lounge. Lots of dirty marks. The TV was very small, cheap and had terrible sound quality. There was no TV in the main bedroom and in this day and age and at this price point I would expect one. Worse, the main light in the room (I arrived in the dark) very annoyingly didn't work. Small things but when I pay good money for accommodation I expect this sort of thing to be of a better standard. The shower in the main bedroom was also extremely tired and looks like it hasn't be updated for a considerable amount of time. If I'd have been there with the family and used the second bedroom I would have been more disappointed, the door doesn't shut due to there being a bed in the way, and oddly, the owners cant be bothered to spend a little money on a matching pair of curtains. This is just lazy. the main bedroom bathroom window has a permanently open section which lets in a lot of road noise. Sorry, but with such a competitive market in the region this falls way below others I stay at, not value for money. I wont be back. Excellent location, great value. We had 3 families staying in the apartment, plenty of room, great kitchen facilities and heaps of bathrooms. Will definitely stay at Sandcastles again. Good view, very tidy and nice service. Everything is perfect. We are here for family tour with two boys. 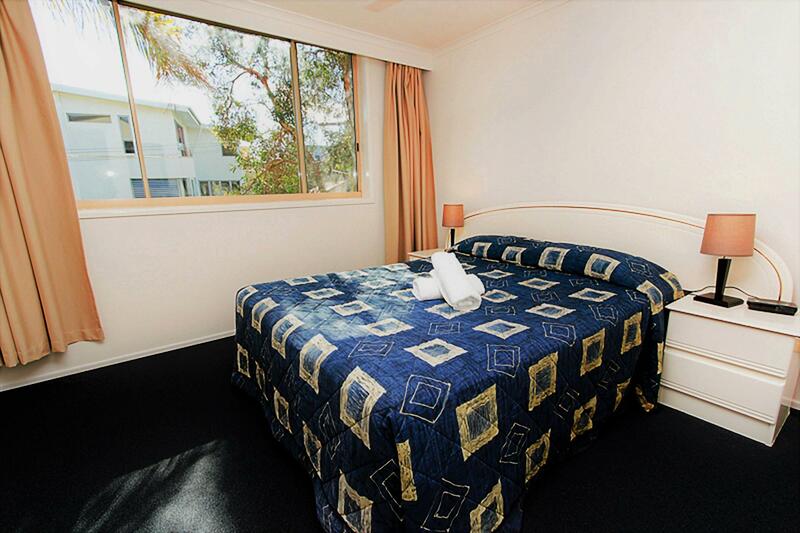 The apartment is just beside Currumbin Wildlife Sanctuature. Currumbin beach is 3 minutes walk. What's more, the kitchen is so perfect for family meals. It is a perfect place for family tour. Thanks Brian and Vivien for your nice arrangement. We will come again. Location. Good for family. Quiet. Great place to stay with small children. Nice and close (short car trip) to shops and entertainment. Good parks/swings nearby. Apartment needed a little TLC and management needed better people skills. very comfortable apartment, nice gardens, nice pool. A bit noise to close to the airport. The room was clean, well set out, well equipped and in a great position, with the beach, park and pool all within a few metres. I would come back again and would recommend this to my friends.